Given the numerous messages I have received for advising this restaurant, I thought it was worth to bring it up in the blog posts. 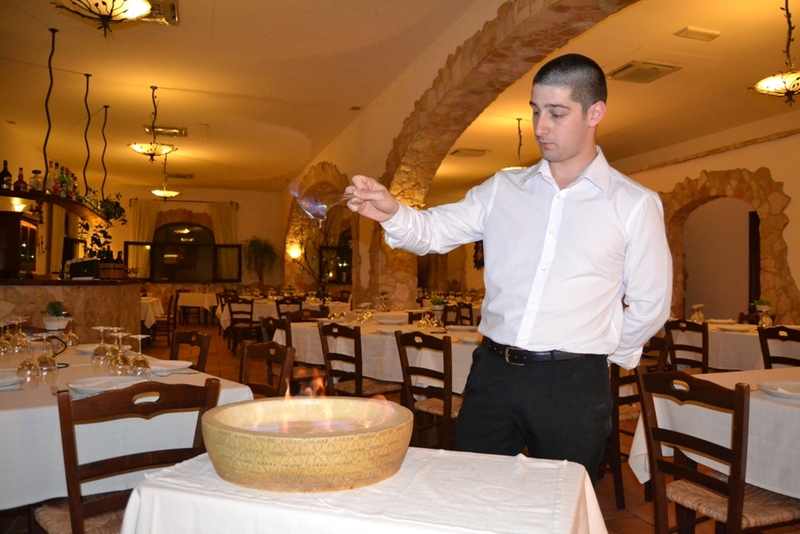 I am happy you liked so much this restaurant and I totally agree with you that it can be considered one of the best restaurants of Salento and Apulia. Great characteristic restaurant, beautiful interior (there is also outside summer space), excellent service, but the thing which attracts me the most here is the menu, their sophisticated cuisine. I have been to this restaurant several times, so I tried different things, and I can tell without doubt that everything is very tasty here… My favorites are: their specialty ‘pasta flambe’ (pasta flambata in una ruota di grana), which is not only a meal, but also a show, as they make it in front of your table. And one more must-try dish is prawns flambeed in brandy, served still with the fire on them – this one won’t leave anybody indifferent.